In our most recent special issue Agnieszka Leszczynski and Jeremy Crampton have drawn together an engaging series of articles on Spatial Big Data and Everyday Life. The theme explores what it means to encounter, experience and study the spatial dimension of big data. The issue looks at what it actually means to explicitly think about spatial big data and then examines what the effects of this type of data are on the everyday lives of people. In their introductory article, Leszczynski and Crampton make clear that ‘spatial’ should be thought of as more than just the geographical reference itself (e.g. coordinates or addresses) that plays such a dominant role in (geographic) academic research. Instead, they call for work that goes beyond both this fixation on the geotag – on the precise location on the Earth’s surface where a data point happens to be produced, as well as the emphasis on only social media content. The contributions to the special issue do exactly this – from a wide variety of angles. For example, Alvarez Leon analyzes how geographic information is commodified through the use of technology (e.g. APIs). He illustrates this by looking at how Google Street View produces a series of copyrighted digital landscapes, merged together in a virtual navigable environment and discusses how the issue of individual privacy is intertwined within this process. 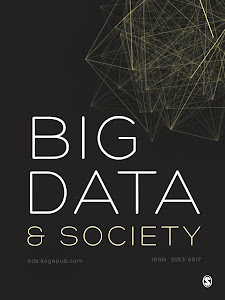 Cockayne’s contribution switches from economic value to the affective value of Big Data, connecting to recent discourses on the attention economy. As he argues, Bay Area startups and tech firms not only produce economic value but are also effective at capturing user attention (i.e. affective value). Going beyond economic analysis and studying the systems at work in this attention economy, will help further our understanding of the many dimensions of Big Data production. Expanding the notion of big data beyond the singular further, Straube uses the analogy of the stack, borrowed from information technology itself, to give us a useful framework to think through the many layers, technologies and actors involved in Big Data. Also exploring the multiplicity of Big Data is Wilmott’s contribution, which uses ethnographic walking interviews in Sydney and Hong Kong to analyze the quotidian, lived experience of spatial big data. Interestingly, she shows that Big Data is not the totalizing process it is often portrayed as, but is just as often incomplete, erroneous or simply missing. Finally, Thatcher reminds us that the data points – objects – in many Big Data studies are ultimately produced by people and thus warrant attention to subject positionality. To bring back this understanding, he argues for ‘a reseating of the reflexive, self-eliciting subject’ in research with and on spatial big data.